Is it cold? Is it warm? Is it somewhere in between? The easiest way to transition into the new spring season is by trading your heavy, dark sweaters for a lighter and brighter spring knit. Luckily, there are plenty of peppy ones on the market right now that will satisfy every taste and budget. A bold and bright hue is the simplest way to subconsciously say you’re officially over the freezing temps, while a pretty pastel knit exudes the feeling that spring has sprung! Prints and stripes are also great ways to shift from chilly to balmy, as are lightweight fabrics like cotton, linen, and fine-knit cashmere. Whatever you decide, it’s safe to say spring sweaters have never looked so good. Keep reading for the proof. This pretty pink will pair beautifully with white or light-wash jeans. We love the chic detailing on this sky-blue hue. Opt for the It color of the season: lilac. A one-shoulder sweater is the perfect transitional piece. Rainbow stripes are guaranteed to brighten your mood. We love the minty green shade of this fine-knit sweater. Say hello to your most versatile (and softest) classic crew. Thanks, Everlane. Stripes for spring? You bet! This comes in four cool colors. The peplum hem and cuffs add a unique touch. The contrasting white sleeves are sleek and chic. 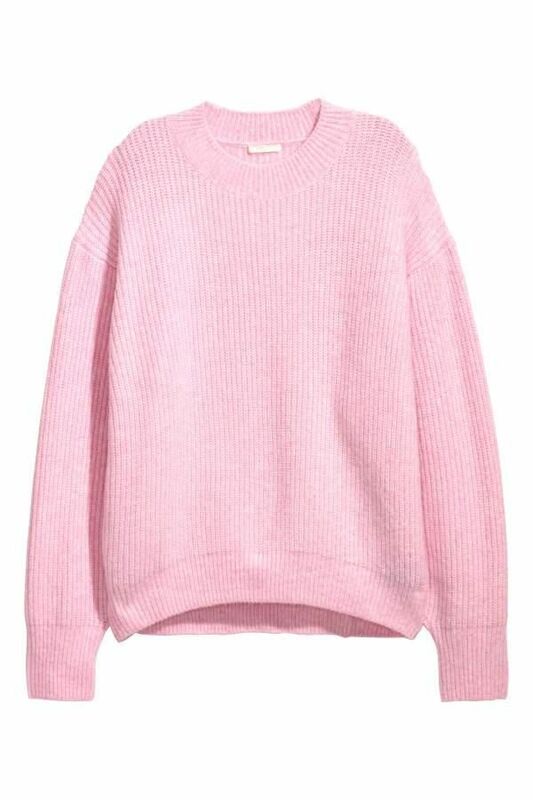 Up next, the under-$100 sweaters your closet needs.